If anyone can claim the title of ‘afrobeat Ambassador’, it would be Seun Kuti. The youngest son of Fela Kuti and hereditary leader of the Egypt 80 is the bridge between his father’s role as afrobeat pioneer and the more contemporary metamorphosis and migrations of the Nigerian style. On Friday, Seun will visit London, with Dele Sosimi and his Orchestra, to give life to what has been already exalted as the ‘afrobeat event of the year’. On the same day, Strut Records will release his fourth LP titled Black Times, which is arguably his most socially and politically-engaged work, which also enjoys some remarkable collaborations with the likes of Carlos Santana and Robert Glasper. “Well, for me, Black Times was a motive state. I was trying to pass across the state of self-understanding and the moment when one realises what it means to be a ‘Motherland’ person in this world. Working with Carlos Santana has been something of a spiritual experience as well, you know. As an artist, I’ve always looked up to him”. As he explained to us, Black Times perfectly embodies not only his development as a musician, but also his personal growth. “Music has always been a part of me, growing up in Kalakuta around my father. I’ve always been surrounded by music and musicians. However, it’s not just that: I’ve always wanted to let my music represent my own personal development as a human being and as a musician, so that every album that I make is a reflection of where I am at that moment in my life, and Black Times is where I see myself now”. 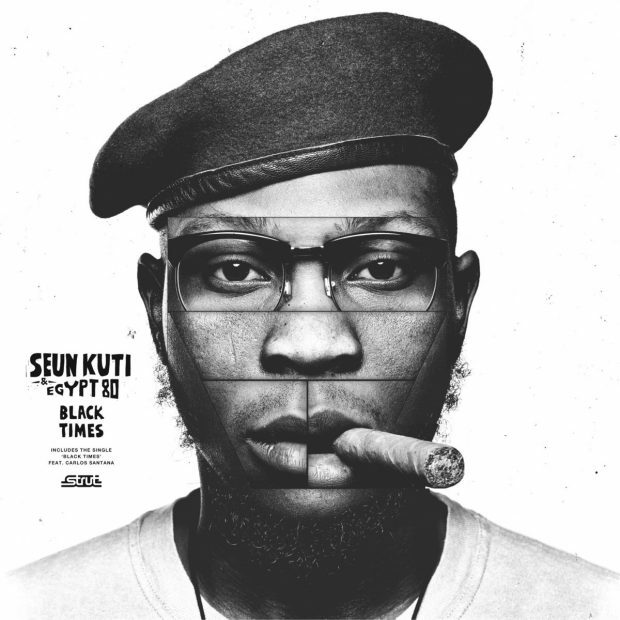 As much as the music he plays, Seun Kuti is quintessentially Nigerian. However, also like his father, he feels that his country is no more mirroring its people and there is a marked and irremediable gap between the ruling class and the people. “I don’t think I represent Nigeria as a country. I think I represent the people of Nigeria because Nigeria as a country only represents and is represented by a few elites. These elites do not respect the Motherland people. As a matter of fact, our government is very anti-people, so we have to stand for ourselves, and that is the image that I’ve always portrayed and that I wanted to make clear”. It goes without saying that, for a musician, there is no better way to stand for his people than through music. That’s what Seun Kuti has constantly done since his debut. ‘Black Times’, the single extracted from his new LP, is the latest example of his mission. He urges his people to act and stand up because the time is now! “The thing most people get wrong about Nigeria is that they see that we are the most resilient people, you know. That we smile in the face of adversity, but I don’t think the same. I don’t share that vision. Nigerians are really striving at the moment, so that they have their own voices heard and the right representation”. That’s arguably why, musically, Nigeria is more active than ever. The West African country can indeed boost one of the most shifting, varied, and prolific scenes of the African Continent, despite it having almost no industry or government support. “The health condition of the Nigerian music scene is that it’s in kind of a coma, there’s no real industry, per se. There’s a good music business, but there are no institutions empowering or backing young artists, and, because of that, I can’t name you one artist. It’s a shame because Nigerian musicians have a lot of talent. If you listen to them, you will like some, while you won’t like others because they play different styles. I think there are just a lot of really good guys out there who are enriching the Nigerian music scene and they all deserve to be listened to”. When it comes to Nigerian music, afrobeat immediately comes to mind. To spread his message, Seun has always used the style introduced by his father, becoming one of its most influential torchbearers. 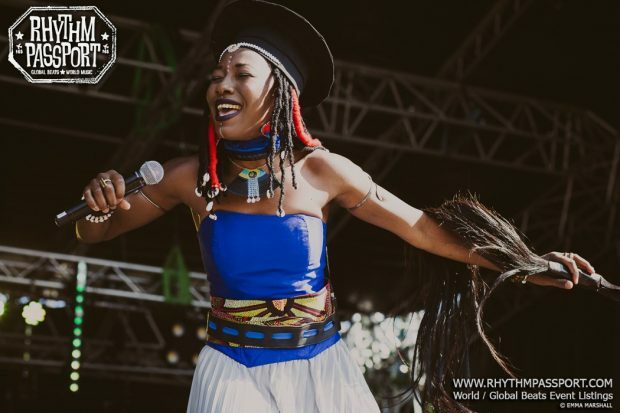 Today, afrobeat has considerably evolved and expanded its horizons, becoming a global phenomenon played all over the world by three generations of musicians. “Afrobeat music has grown throughout the years. It has become bigger, more global. So, more and more people that come to the shows are not just discovering it, they are already fans, and that is what I actually see that has changed. At the beginning of my career, most people just came to find out and then, you know, accepted the music, but now, most people that come already accept the music. I think it depends on how you look at the world. Afrobeat is for people who are cautious, but also people who stand up on the path of struggle. It’s music for people who understand that if humanity wants to advance in this moment, it needs to make sacrifices. Afrobeat is the music that inspires them. It’s a music that appeals to people all over the world and appeals to musicians of every age. Young artists want to express themselves and many of them use afrobeat to do it. I’m really proud of this, because, today, afrobeat bands are popping up all over the world to face and confront injustices in their societies. These bands employ afrobeat to become a loudspeaker for the people. 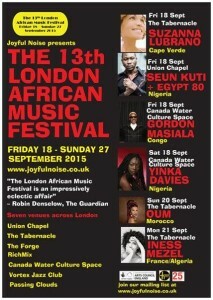 I more and more recognise that afrobeat was a gift that my father gave to the world. Today, it has become a voice, a messenger for the majority. It has become the voice of the underground, a vehicle with which to express the real feelings of the real people”. We can’t wait to listen and dance to the voice of the Nigerian underground on Friday at Electric Brixton during the ‘afrobeat event of the year’!